System Conversions, Migrations & Upgrades can often be stressful and frustrating times for SAP Consultants and IT heads. Migrating data to a new system involves risk. To minimize the risk (and stress), you need to concentrate on the Preparation phase of the SAP S/4HANA Conversion. SAP ERP systems need to transition to SAP S/4HANA before 2025. Corporations must start planning for this Conversion now. If not, last minute decisions may lead to a frustrating and bumpy ride. There may also be a shortage of experienced consultants as we get closer to this deadline, due to a large number of last-minute conversion projects. There is much to analyze when you are creating a System Conversion plan. The more proactive you are, the smoother the transition will be. Successful conversions are a combination of effective planning as well as preparation. Many elements of the conversions can be planned, it is important for Consultants to take time to educate themselves on all that is involved in facilitating a conversion or upgrade. This article discusses 6 important system conversion preparation steps, as well as the importance of pre-planning, and what parameters to consider in advance so that the SAP S/4HANA system conversion doesn’t leave your SAP IT team scrambled. SAP ERP Customers who want to do an SAP S/4HANA conversion in one step will benefit from the conversion of an existing SAP ECC 6.00 system without re-implementation, hence minimum disruption to existing business processes. Once the ECC system is converted to SAP S/4HANA, customers can adopt necessary SAP S/4HANA functionalities and capabilities in their converted system. It is not mandatory to have a HANA database or go to SAP S/4HANA finance first. We can convert the SAP ECC system in one step, based on certain technical and functional parameters provided in the SAP S/4HANA Conversion Guide. Please refer to the SAP provided Conversion Guide and other documentation here. The SAP S/4HANA Conversion Preparation Phase is to verify and adjust configuration requirements of ECC. 6.00 systems for SAP S/4HANA Conversion. SAP Recommend to follow SAP-provided Guides like Simplification Guide, Conversion Guide, SAP Release information notes, Release restriction notes etc. An SAP S/4HANA Application developer will do the necessary code adjustment and custom code cleaning. Application developers will execute Custom Code Analyzer (Code Inspector) to analyze and test programs, DDIC objects, function groups, classes, interfaces etc. Inspections are created using the transaction SCI. ABAP Test Cockpit is a convenient alternative for running these checks. Generally, Code Inspector indicates probable problems. However, note that if a program passes an inspection, this does not gaurantee that this program will not have issues. Besides this, SAP Basis Consultants will execute Maintenance Planner during this phase. Maintenance Planner Checks Add-ons, business functions & Industry solutions on your system. After checking them, the Maintenance Planner creates the stack file (stack.xml) which is the input for SUM tool during Execution phase. As a part of the ECC System preparation, Functional Consultants execute a Simplification Item-Check Report to identify simplification items relevant for the current SAP ECC system. An SAP FI/CO Consultant or an Asset Accounting Consultant executes pre-checks for Asset Accounting using the report RASFIN_MIGR_PRECHECK to check the consistency of the Asset Accounting if they are doing conversion for 1709 or a lower version. If they are doing a Conversion to 1809, This report is not required. Simplification item check report includes Asset Accounting checks for 1809. Refer to description in SAP Note 2502552 to execute and identify the simplification items relevant for your conversion project. SI Check report: /SDF/RC_START_CHECK can be executed via SE38. SAP ECC systems with Classic GL setup can be directly converted to SAP S/4HANA, or you could take up a separate migration projects from Classic GL to New GL during the start of the fiscal year, and then take up the Conversion project. Conversion can be done at any period end. If Classic General Ledger is used in the source system, the ledger ’00’ will be migrated to the new leading ledger ‘0L’ of the universal journal based on below configuration during Preparation for General Ledger from the Conversion Cockpit. If your system conversion starting point is a 1503 or 1605 system, no further action is needed for Conversion and there is no need for Preparation activities to be done in the Conversion Cockpit. The General Ledger in S/4HANA Finance (Formerly Simple Finance 1503) is based on the Universal Journal. The line items are already stored in the new database table ACDOCA and GL is already optimized for SAP HANA. If your present ECC system has data in Credit Management tables such as, KNKK and KNKA or using Transactions such as FD31, VKM1, VKM2, and so on, it would appear that you are using FI-AR based Credit Management. FI – AR / Sales & Distribution based Credit Management is not available as part of SAP S/4HANA. If your source system has this functionality, the functional equivalent is provided in SAP S/4HANA based on FSCM. Assign Credit Management Group to Customer Credit Group If above step is not performed, No need to execute this step (based on above step). Assign Credit Management Processor to Credit Analyst Group Based on Define Customer Credit Group step. In this activity, you need to make the settings. The credit check types A, B and C are no longer supported. If you have specified the credit check type to A, B or C, change it to D (Credit management: Automatic credit control) or leave the field empty. The credit check types A, B and C are no longer supported. If you have specified the credit check type to A, B or C, change it to D (Credit management: Automatic credit control) or leave the field empty. Rectify and execute, then check again. When you execute this last step in the Credit Management Preparation step in the S/4HANA Conversion Cockpit, the System checks whether the credit management customizing is set up correctly for the migration or not. Based on the preparations, the system issues warning or error messages. In case you are missing something or have done some incorrect set up of customizing, the system will issue messages like above. If your source system has Business Partners – BP or UKM_BP to maintain credit account master data, it seems that your source system already has FSCM-based Credit Management. You might already be using Transaction code UKM_CASE to process sales documents / releasing blocked sales orders. In this case, Migrating Credit Management is not needed. No need to Execute this step in the Migration Preparation Cockpit. But you have to Review BadIs: UKM_R3_ACTIVATE and UKM_FILL . It is like Case i: It needs Migration. But the Prerequisites for the migration to SAP Credit Management in both the cases (i & iii) are, you have completed the migration for Accounting as specified in case i. When moved to SAP S/4HANA we need to use UKM_BP for the maintenance of the credit account master data, transaction FD32 is no longer available. For releasing credit-blocked sales orders we can use FSCM based transaction UKM_MY_DCDS. Configuration data, Master data, Credit exposure data, Credit decision data will be moved to FSCM-CR. In SAP S/4HANA, Material Ledger is mandatory. Actual Costing is optional. Therefore, migration of the Material Ledger is also mandatory in both the above systems after SUM. You must do the migration step for the Material Ledger, even if you were not using Material Ledger in the source system. • Material Ledger is mandatory whether you are already using the Material Ledger in your source system or not. • When you are doing an upgrade project from S/4HANA 1511 to S/4HANA 1610 or 1709 no manual IMG Material Ledger data migration is necessary from the cockpit. In the source system, you need to implement relevant SAP Notes that are mentioned in SAP Note 2345739. Step 4: Once you have executed the above three, after SUM Execution, in the SAP S/4HANA System, check if corrections from SAP Note 2209641 are relevant for you. If your source system does not have Material Ledger, during conversion, Material Ledger will be activated automatically. It will not activate actual costing since actual costing is still optional in SAP S/4HANA. If your source system has actual costing functionality, actual costing will be transferred to new data structures to enable fast and efficient cost calculation during the Conversion process. In the source system (whether ECC or SAP S/4HANA Finance (Simple Finance System)), all Material Ledger costing runs Transaction Code CKMLCP or alternative valuation run: Transaction CKMLCPAVR need to be finished. The post-closing step should be successfully executed without errors. Please verify materials with status ‘open’ left out for any material. After system conversion to SAP S/4HANA it will not be possible to make any changes on costing runs. It is treated as an upgrade from 1511 to a higher version of SAP S/4HANA. So, there is no need to execute any steps from the Conversion cockpit of the SAP S/4HANA System. However, if your 1511 system (Source System) has Actual Costing Functionality, you have to execute transaction FCML4H_STARTUP after upgrade from 1511. Please note: This is not required if you are upgrading from 1610 to 1709. If you add plants after conversion, Material ledger has to be activated for those plants manually using transaction OMX1. Currency customizing of Material Ledger: Transaction OMX2 is mandatory. Material Ledger still supports up to three currencies and valuation types. You have to manually define the currencies and valuation types that are relevant for the Material Ledger. Transaction Code: OMX3 to assign this ML Type to valuation area. After System Conversion multiple currencies can be seen (MM03 and MR21). There is more consistent valuation in these other currencies. Business Partner is the single-entry point to maintain Customer and Vendor master data in SAP S/4HANA. You can Maintain multiple relationships to the same Business Partner. 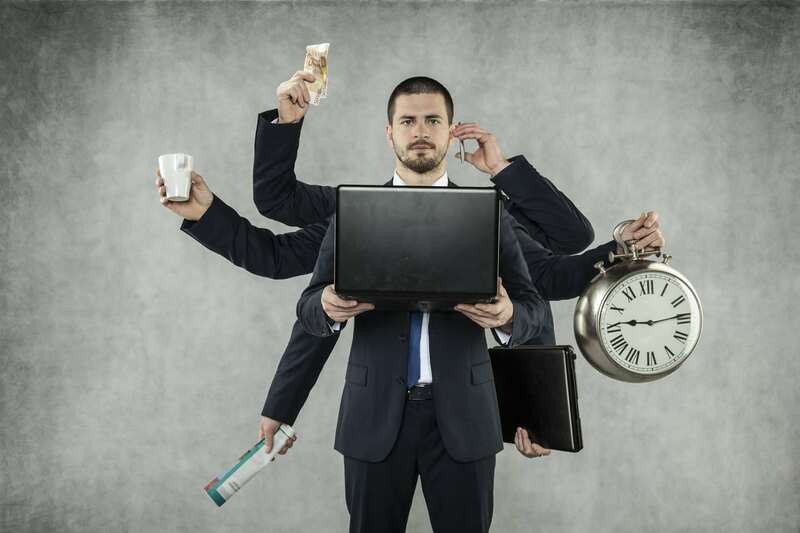 This Business Partner approach eliminates redundancy. Transaction code BP is the single point of entry to create, edit, and display Business Partner master data. During Conversion of SAP S/4HANA -OP, the system verifies if customer/vendor integration is in place, if not, the system declines the transition. So, C/V integration is mandatory. It is better if the BuPa ID and Customer-ID / Vendor ID are same. Business Partner Approach (CVI) is not needed for SAP S/4HANA Finance Migration 1605. • If Business Function CA_BP_SOA is not found in your system, create a new Business Function in the customer namespace with the switches VENDOR_SFWS_SC1 and VENDOR_SFWS_SC2. 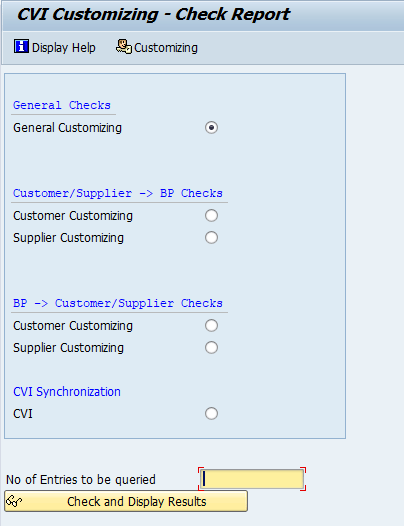 • Complete Synchronization configuration to Convert Customer/ Supplier Data into Business Partner. Test MDS_LOAD_COCKPIT to check Synchronization Cockpit. • Run Business Partner Pre-Check PRECHECK_UPGRADATION_REPORT according to the note 2211312. 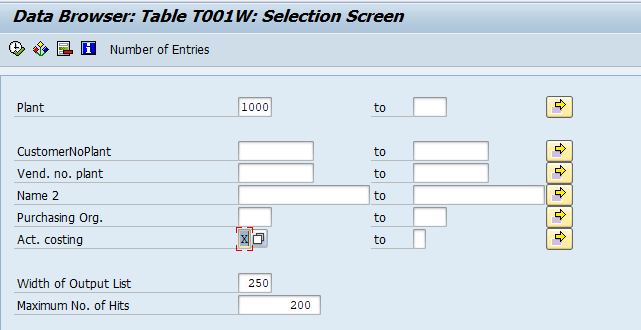 Implement SAP note 2210486 and Execute report: CVI_UPGRADE_CHECK_RESOLVE from SAP Note 2210486. This note performs checks for CVI customization. This report performs the necessary checks and provides a customizing resolution program, you can find missing customizing entries and the solution to create/correct these entries in each client. This report provides the CVI synchronization options. Please read complete help documentation about this program. The Conversion Process must be triggered without errors. If the runtime error “Inconsistency in the dictionary for structure “ZT005_GEN”” is found during the SUM execution, execute the process again. In addition to the above report, refer to SAP Note 2216176 to see the Conversion Document PDF. Refer to SAP Notes 2265093 to see the document on “Business process Conversion activities” and CVI General information as an attachment to the SAP note. Other Important SAP Notes relevant for CVI Conversion are 1623677 and 954816. For version 1511, 1610 or 1709, you must execute Asset Accounting pre-checks by implementing the SAP Notes listed in the collective SAP Note 2333236. It is a separate program, neither included in in the report R_S4_PRE_TRANSITION_CHECKS ( 1610) nor SI check report ( 1709). During the Preparation Phase, SAP S/4HANA Conversion Consultants check the Consistency of the Source System (SAP ECC.). Consultants must execute reconciliation Programs among Financial Accounting with other modules like FI-CO, FI-MM, (RM07MBST, RM07MMFI) FI-AA (RAABST02 RAABST01). Reconcile the new General Ledger and the Accounts Receivable and Accounts Payable subledgers. If your source system has Classic General Ledger, Reconcile the classic General Ledger and the Accounts Receivable and Accounts Payable subledgers ( SAPF190) , etc… So, the data can be merged correctly in the universal journal entry Table ACDOCA. To reduce the data volume to be converted, archive any data that you no longer need in everyday business processes before the migration. Perform period-end closing, Document your posting data, Lock users, verify update termination if any, verify queued PFCs if any (which may stop the SUM process), then handover the system to SUM execution. Proper preparation and planning are the most important steps in any Conversion / Upgrade projects to SAP S/4HANA, they can significantly reduce potential issues, and are your most powerful weapons. It is important to focus preparation on important Conversion points like CVI, Material Ledger, New Asset Accounting Etc. Work continuously on them until you feel confidence. To understand better, ask questions to your customer and get answers. If answers don’t make sense (and seem out of alignment with what you see in the system), then spend more time understanding the system by doing further analysis and testing. You may need to go over one particular area/point many times in an effort to understand it during Conversion project. The Preparation phase is meant for understanding and preparation of your source system. To be able to reach your goal and achieve success in SAP S/4HANA Conversion projects, you need to do lot of groundwork. Do not rush and jump before you are ready, as you will end up having to spend far more time solving problems that could have been avoided by better preparations and checks. 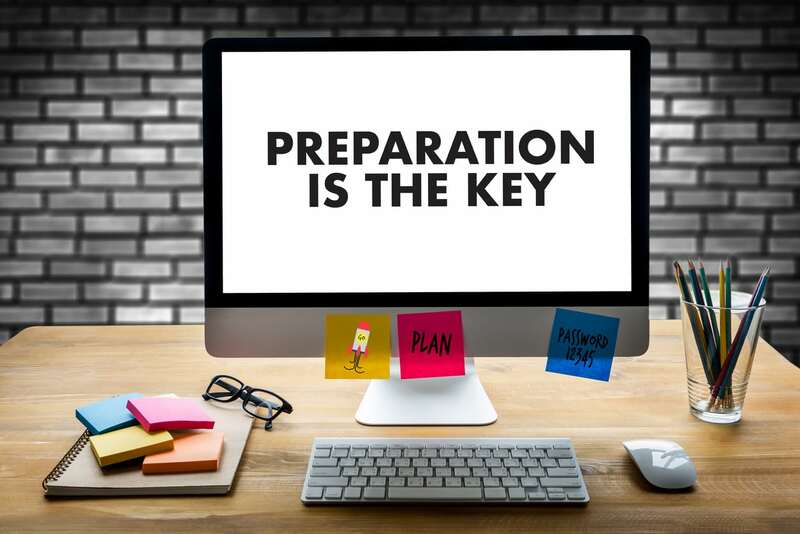 Keep in mind, that even with the best preparation, in practice no one can fully prepare in advance for the details of every possible error or warning that might arise during conversion or upgrade of SAP S/4HANA. In spite preparing as per the Conversion Guide or Upgrade guide provided by SAP, something unforeseen is likely to still come up. Consultants working on this type of project must be ready for unexpected issues. To minimize the chance of issues it is important to follow all of the supporting documents provided by SAP, such as: the Conversion Guide, Simplification Guide, SAP Notes etc… and do everything in the correct sequence specified in the Conversion Guide. Don’t leave any warning or error message un-actioned. “The best time to repair a roof is when the sun is shining”.